We imagine those are the sort of mitigations being offered up by EE this morning as the latest P3 Mobile Benchmark reveal the company has been firing blanks in terms of voice quality compared to its competitors recently. 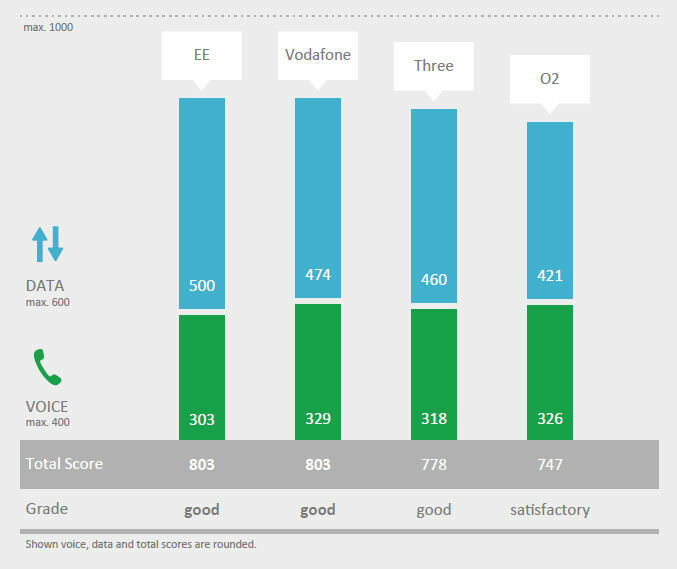 Last year EE was the clear winner in the performance test but this year virile Vodafone has caught up and even O2 and Three have overcome their failed relationship to close the gap. Perhaps that very act of coitus interruptus has kept them keen while EE has become exhausted by the insatiable demands of sugar daddy BT. EE’s most flaccid effort came in the area of voice quality, where it seems to have drooped somewhat from last year. Vodafone has seized the initiative in this area, servicing its customers confidently with both its voice and data. Nice bit of credit-claiming there Hakan, but it’s not clear how much the UK operators care about P3’s tests. EE, presumably, is not so keen but Vodafone has decided P3 is the best. It is good news that all UK operators are raising their game, although seeing O2 and Three lag the big two is ominous in the light of their failure to merge. But as you can see in the summary table below it looks like EE might need to start hitting the Viagra if it wants to surge ahead of Vodafone once more.